Sand is about as tasteful and memorable as it’s title, a bland, pointless and inconsequential piece of low grade fluff that starts nowhere and ends up just about the same. Funnily enough, it attracted the attention of some fairly notable actors who show up to loiter around in a boring family melodrama that barely registers past a flatline, and wander off again without bothering to bring their character arcs to a satisfactory close. 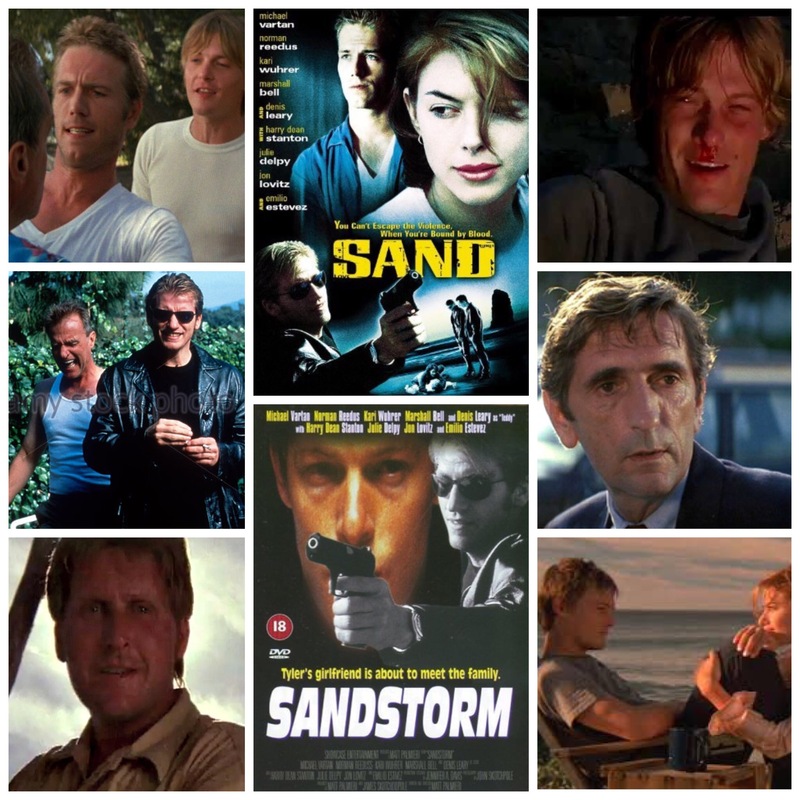 Michael Vartan is some California stud who returns home to the surfing town he grew up in only to run afoul of his nasty criminal father (Harry Dean Stanton), and two deadbeat half brothers (John Hawkes and some other dude). They’ve shown up to lay low from the cops, but instead have eyes for Vartan’s cutie pie girlfriend (Kari Wuhrur) which is where the vague trouble starts. I do mean vague, as no one really makes an effort to convince us that these characters care, let alone know about what’s going on, and any sense of real danger is stifled by lethargy. Denis Leary usually crackles with witty intensity, but not even he seems to want to play, a sorry excuse for a villain who mopes around looking like he forgot his lines and just wants to go home. Norman Reedus is wasted on a quick bit as Wuhrur’s surfer brother, and there’s equally forgettable cameos from Jon Lovitz, Emilio Estevez and Julie Delpy too, but it all goes nowhere. There isn’t even any kind of adherence to genre, no Mexican standoff, no ramp up to revenge, it just kind of drops off and leaves an absence of anything interesting in the air. Some cool Cali scenery that could be Big Sur if I remember correctly, but even then you’re better off ditching this one and going to the beach for real.